The continuing deterioration of coastal ecosystems is a growing worldwide concern, and human populations are increasingly concentrated in coastal areas. This has resulted in coastal eutrophication, overfishing, habitat disruptions, pollution, and esthetic degradation. Aquaculture has developed rapidly over the past decades and is according to FAO statistics the fastest growing food industry in the world (with values well above 4% per year). This trend will probably continue as capture fisheries are in global decline. Already today nearly every second fish consumed is cultured and total aquaculture production of fish and shellfish reached over 47 million tonnes in 2005. An example of this rapid development can be seen in southern Chile, where salmon, mussel, abalone, and seaweed farming have become major economic activities (Figure 1). Chile has become a world-leading aquaculture nation over the last 20 years. Aquaculture is, however, now at a crossroad and there are many critical aspects of its sustainability that need to be addressed. There is ample evidence of negative ecological impacts from near-shore aquaculture systems: introduction of organic and inorganic waste into the environment increasing the risk of eutrophication and pollution; introduction of diseases and escapees in the ecosystem affecting biodiversity; and increased risk of overfishing by the increased demand for fishmeal and oils (FMOs). Altogether, while generating valuable products and incomes, aquaculture may modify ecosystem resilience capacities, increase human health risks associated with food production safety issues, and affect the social and economic development of coastal communities. Open-water marine fish aquaculture systems are run in a flow-through mode, which means that some of the feed and wastes rapidly pass through the system, potentially resulting in discharge of particulate and dissolved wastes into surrounding waters. Considering this and because of the importance of aquaculture as an additional food source, it is important to develop new technologies and strategies to ensure that its future development is sustainable. Additionally, the regulatory response should imply the application of a cautious approach and adaptive management, considering its impact on food production levels. 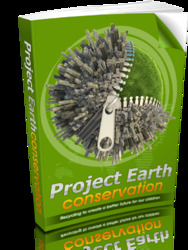 New approaches are needed to develop an environmentally balanced food supply in the near future. Ecological engineering is an emerging field, which uses ecological processes within natural or constructed systems to achieve environmental goals. 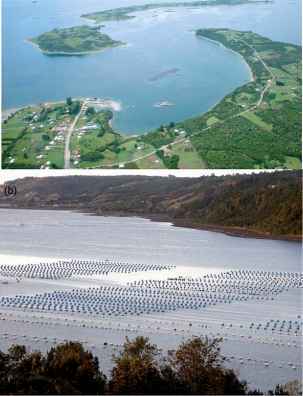 This article outlines and discusses ideas on how to maintain or even increase aquaculture production by incorporating ecological engineering approaches. To reach this goal, we first summarize the waste production and environmental effects of aquaculture and then we give a few examples of how their reduction can be achieved. Finally, we emphasize the role integrated multitrophic aquaculture (IMTA) can have to achieve a more balanced management of coastal ecosystems by combining fed aquaculture (fish or shrimp) with extractive inorganic aquaculture (seaweeds) and extractive organic aquaculture (filter-feeders).